This entry was posted in Slides and tagged 553, American Locomotive Company, RS-2m. Bookmark the permalink. 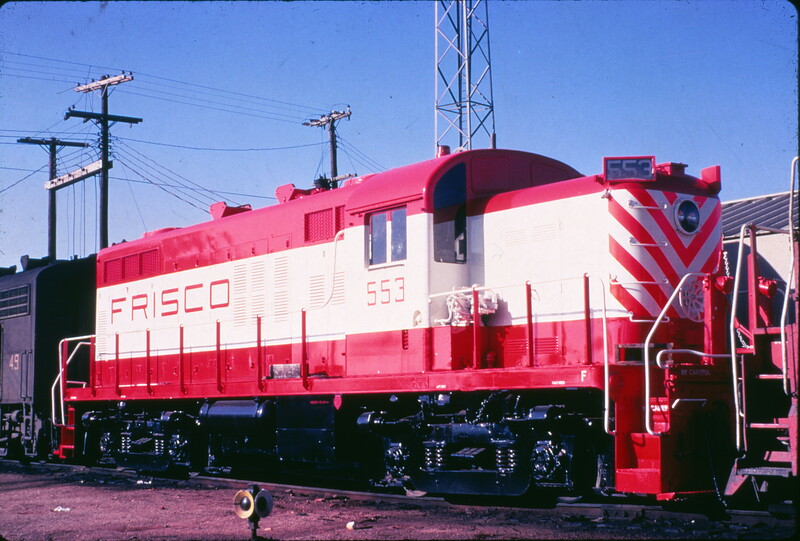 Alco RS-2’s ran long hood forward even when rebuilt with EMD engines. Therefore the “F” on the short hood end of the frame is on the wrong end.